Back in my school days (which I guess technically ended less than one year ago!! ), I cared deeply about recognition. I loved getting the Headmaster’s Award in Middle and High School and was thrilled to snag scholarships in college. Everyone can agree that it’s just nice to be noticed, and my mom always instilled in me the following sentiment: you don’t need awards to prove you’re deserving — self-worth must originate internally — but it sure is nice when you receive a sign that the external world sees you. 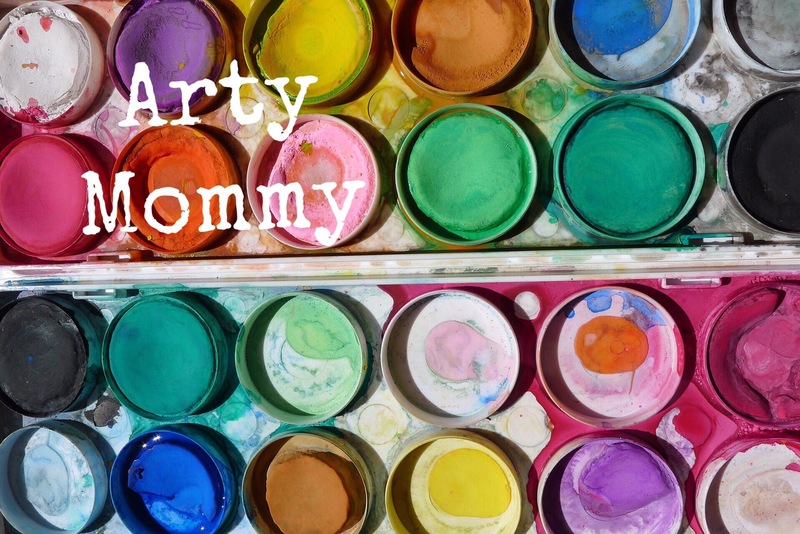 Last week, Feedspot selected Arty Mommy as one of the top 100 SAHM blogs and websites on the internet. I was thrilled to read that email in my inbox, and am feeling inspired to share my blog a bit more (maybe I’ll even make a — gasp — Facebook page for it!). 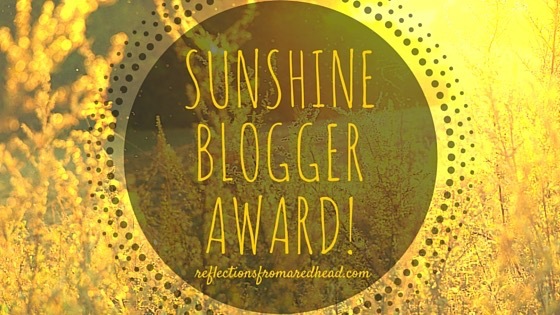 Over the past month or so, a couple lovely and talented bloggers nominated me for awards that are floating around the blogosphere. Blogging awards are just plain awesome. They’re predicated on the whole share-the-love concept, they remind me that at least a few other people are responding positively to my posts, and they expose me to a variety of like-minded bloggers. I’m so thankful for every reminder, no matter how tiny, that I’m becoming part of a wonderful community of writers and readers and do-ers and crafters and mommies. Since I’m currently wearing K in the Ergo (she’s napping after a scorching afternoon at the spray park) and R is working on a slime recipe, I finally have a moment to carry on this rewarding tradition of awarding. 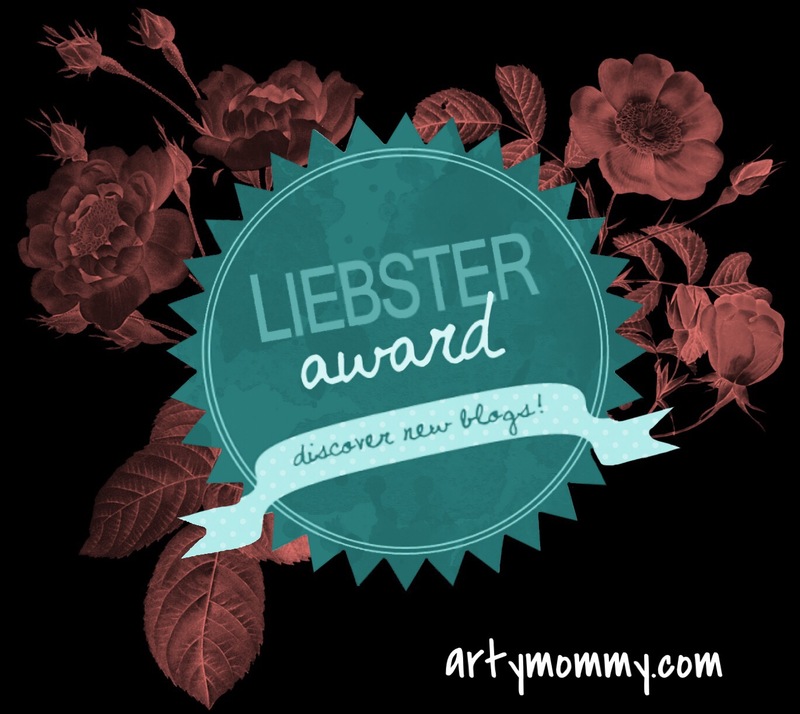 Katherine, from Welcome to the Nursery, THANK YOU for the nominations for the Liebster and Sunshine Blogger Award. You bring sunshine into my life and I truly enjoy reading about your daily experiences with mommyhood. 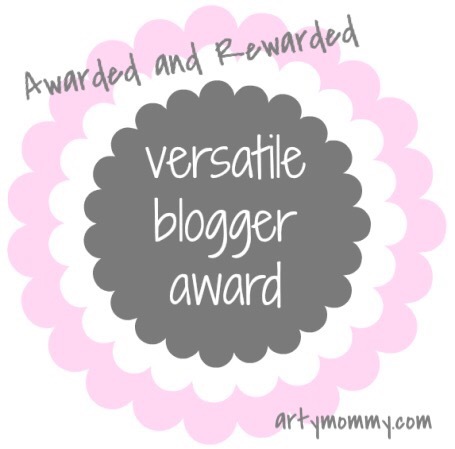 Since my time is quite limited (in fact, I wrote about one sentence before R spilled her concoction all over the floor and K awoke while I bent down to tend to the mess), I’m only addressing the Versatile Blogger Award today. Thank you to Kelley from Kelleysdiy for the nomination! Your energy for crafting/making/upcycling and your openness to finding daily inspiration is itself inspiring. Thanks! The protocol for this particular award, as I understand it, is as follows: thank the blogger that nominated you and link to their site, carry on the feel-goodness of the tradition by nominating the bloggers that you appreciate and want to share, and regale your readers with a few fun facts about yourself. My name is Oli, pronounced Oh-Lee, and I’ve been called that since childhood. However, my full given name is Ola Charlotte — two names that honor my great-grandmothers. The mispronunciation of my name by others is a constant in my life. I met my husband in NYC, and on our first date we discovered that our parents went to the same high school (this felt particularly random because we grew up 2,000+ miles away from each other). I’ve always loved to write, and as a child I penned short fantasy stories and even started a few novels. Learning the “five paragraph essay” in middle school stifled my drive for creative, fictional writing (which previously flowed out of me naturally) and I’m still trying to rediscover it. My first animal as an adult was a Soft Coated Wheaten Terrier named Osa, so-named because my husband (then a boyfriend) and I got him shortly after returning from Costa Rica’s magical Osa Peninsula. I formally studied art history for over a decade. I moved to NYC after college and worked in a couple art galleries before entering graduate school. I then made actual money by bartending at a dive bar. Some nights I’d bartend until 5am and then go teach an art history course to undergrads at 9am. It was a double life, and I often wonder if I’ll ever made more moola than I did serving PBR beers and shots of Jameson at the beloved Hog Pit NYC. My mother, Laura Robbins, is an incredibly talented and prolific mosaic artist. I was bitten by a boa constrictor when I was 6 years old at science camp (oddly, I got E. coli poisoning that same summer). I love snorkeling, period. And snorkeling alongside dolphins in the wild is perhaps my favorite thing to do EVER (these magical occasions have been totally fortuitous). 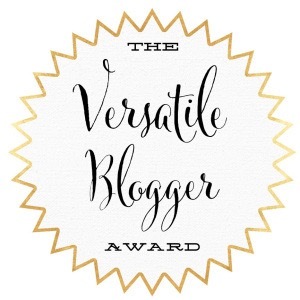 Thanks so much for reading, and stay “versatile” 😉! Congratulations on your awards! Well deserved. I love art and your blog! Thank you for my nomination, Oli!! (Cool name!) I appreciate it! I’m amused by you saying you made so much money bartending. I think that’s so universally true! My sister is in Miami and works 4 days/wk as a physical therapist, with a PhD, in a TOP hospital … but makes more money working 2 days/wk in the 2nd top club. You can make the most money exploiting people’s vices?? Is that bad to say?? But so true. Totally! It’s so crazy. Sometimes my sister-in-law and I joke that the more educated, the lower the pay scale. But seriously, I walked away with around $700-800 on a Friday night. Not sure I’ll come close to making that in a day in a “real life” job! But thank goodness it allowed me to live in NY as a student loan free! Wow, that’s good pay!! There are definitely perks, yes. Take ’em as you can get ’em (safely, of course, within reason!!!). Thank you for the nomination 🙂 And the handy list of new people to check out too! Congrats on the awards and thanks for the nomination! And bless your heart at age 6, what a rough summer! It was rough! But I loved showing people my bandaged arm and the snake bite made good conversation ☺️. And thanks! !